This is the trip of dolphins. April 12, 2019 - - We started off jumping close to the wall. While swimming towards the receiver, several whitetips crossed our way. Suddenly, a hammerhead appeared in the blue and disappeared as fast as he came. When swimming to the inner side of the lava finger, several whitetips were circling between the rocks, curious to find out what these black things were, making these strange bubbles. Almost as the hammerhead, a big manta, followed by blind passengers below him, showed up swimming gently above us and disappeared again in the blue. 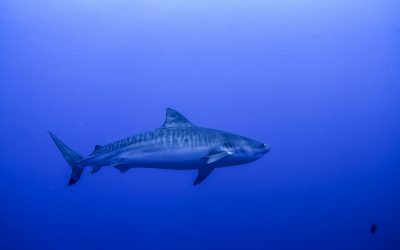 Revillagigedo trip aboard the Nautilus Undersea March 26, 2019 - - First day, ever, in the Revalli… Reville… in the Socorro islands and we have already feasted with Silver and White pointed Sharks. 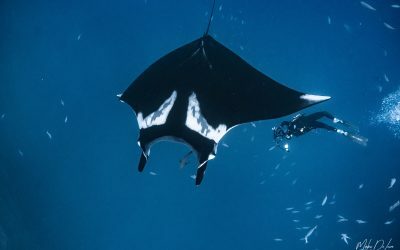 But what will stay forever engraved in my memories, is my first in-dive encounter with a Manta Ray, then the second, the third, the fourth… And someone told me this is only the first day! Day is beautiful, super clear skies. We did our check out dive at Fondeadero, dive was okay. For our second dive, The Canyon was the place, and smiles and good comments started to come. Guests loved it, some saw 50+ schooling hammerheads according to divemasters. Also they had a black and a chevron manta going around the divers, the galapagos and silver tips were very active too, some also saw rays on the bottom just resting as well as the white tip sharks. The usual cast of fish is always there, it is just that we don’t mention them, but the schooling horse-eyed jack, the clarions, flounders, octopus and a lot more. Jaw-some times at Roca Partida. In the past weeks we have been truly blessed with amazing dives at the rock, even seeing humpback whales breaching in the distance. This week was no different. So many sharks around. With a mild current from the north it is easy to kick into the split region and just hang in mid water with all the jacks and creol fish. We had around us at least 10 galapagos, 4 really fat silvertips and closer to the rock dozens of whitetips swimming together. Hammerheads swim into the mix sometimes and it’s been easy to find the school of about 30 as well. Just a bit into the blue and there they are!! 30 hammerhead sharks cruising together! They let us come quite close too. Absolutely beautiful!! 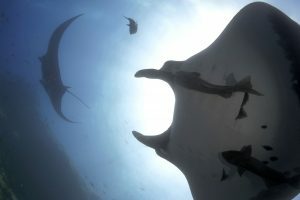 And as we swim back to the rock, 2 chevron mantas are there to greet us. Our third dive we tried our luck at “Parientes Rock” where we saw the playful black manta the other day. Besides yellowfin tunas, lobsters, stingrays and one hammerhead, we didn’t see any manta this time. Back in the skiff, we were told a group of pilot whales just passed by. We managed some short moments snorkeling with them. There were several females with their calves swimming closely together. 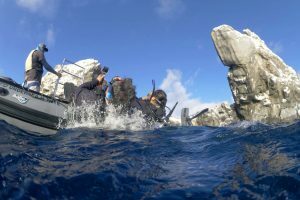 The fourth dive “El Cañon”, we didn’t expect to see more than the other day. We were completely wrong! 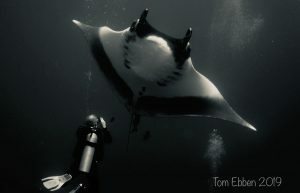 On our way to the cleaning station, a manta showed off and circled us repeatedly. 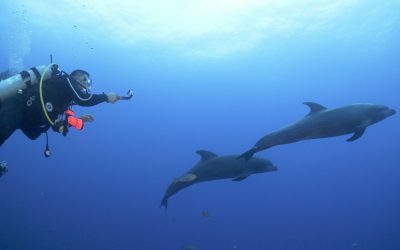 He came an arm’s length to the divers, made eye contact, and moved slowly for the next loop, it was breathtaking! Even the cleaning station was busy this time: silvertips, whitetips, Galapagos sharks and even a Tiger shark has been spotted. In the distance, a hammerhead was passing by. What a last dive, it couldn’t have been any better! 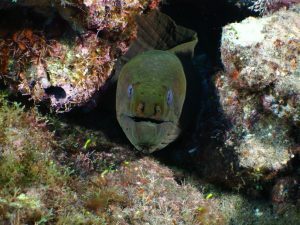 Most divers would be shocked if they knew what was going on in the engine room and below decks of many liveaboard diving ships. Safety is not something to ever take lightly. We live and breathe safety with obsessive compliance to our Safety Management System under the watchful eyes of our external auditors. See our passenger and safety certificates here. Captain Mike has led the way for the last twenty-seven years in consistent and relentless obsessive attention to detail, and making every trip as excellent as possible. 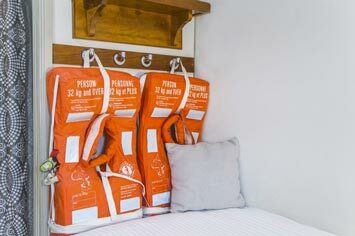 That attention to detail shows up everywhere, from each dive briefing, to the choice of dive sites, to dinner service, to the quality and thread count of our Egyptian cotton bed sheets. We never stop stressing over the details. We never stop trying to do even better. 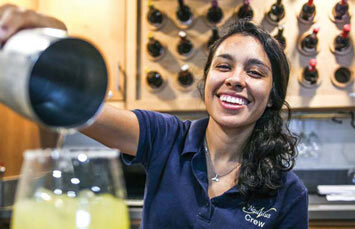 A happy crew makes for a happy ship and the very best in guest experience. The men and women on our ships come from around the world and share your passion for Mother Ocean. Every one of our seventy crew and thirty-five shoreside support staff in Mexico and Canada are committed to doing the best they can for you, our guests, and that shines through like a bright beacon of happiness. Canadian shipyard built from the keel up with a thoughtful design intended to support operations from the chilly current swept waters of Alaska to the equatorial heat of Clipperton Island. Recently lengthened to 132 ft, the Explorer was the world’s first SOLAS safety certified dive boat. The “Belle” is our newest ship, launched in 2015. 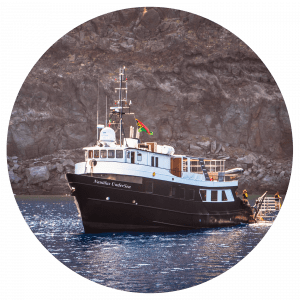 At 147 feet she is a big, beautiful and very popular liveaboard that is more like a small ship than a dive boat. 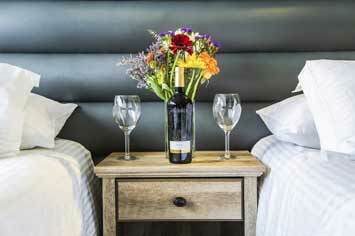 Guests enjoy ultra-quiet rooms, spaciousness and comfortable, stabilized crossings. 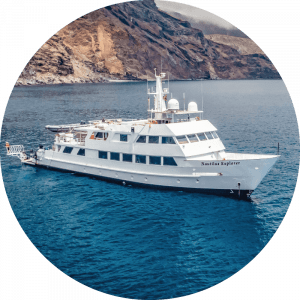 Formerly the Undersea Hunter of Cocos Island and IMAX fame, the Nautilus UnderSea is one of the most beloved live aboard dive boats in the world. With a new full-width superstructure, enclosed dive deck and lengthened to 105 ft, the UnderSea is perfect for smaller groups of just 19 divers. 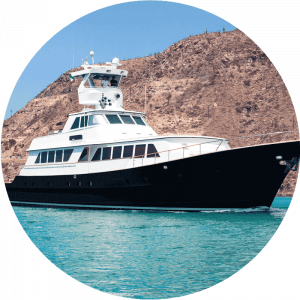 Our new Gallant Lady is beautiful and combines the luxury of a Broward yacht with thoughtful liveaboard dive boat design. 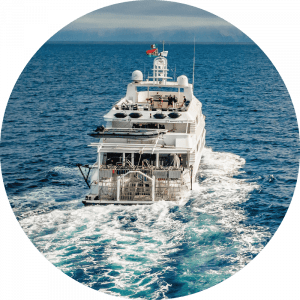 This 116 foot yacht features 6 large suites, accommodating 12 guests, and 1700 horsepower along with hydraulic stabilizers, speeding you wherever you want to go.